Presented by CIRCUIT in association with the Documentary Research Group at Auckland University of Technology (AUT), The Time of the Now is a one day symposium which explores the challenges of addressing ‘truth’ in a post-truth world. This symposium presents papers, speakers and responses to the following questions; What strategies do contemporary artists employ to test media representation of reality and the means through which we channel and consume it? How do artists expand the documentary form through various material processes and formal strategies? How do artists deconstruct the surfeit of images we already have and the means by which we receive them? Can 'truth' and fiction exist in the same space? What historical artworks could be part of a revised genealogy of current documentary practices in Aotearoa New Zealand? How could an ethic of care, as understood through sustained relationships with Indigenous and diverse communities be played out through documentary practices? The Time of the Now is CIRCUIT’s 6th annual symposium exploring artists moving image practice in Aotearoa New Zealand and internationally, and is preceded by an Artist Week of screenings, installations and events. A full programme and list of speakers and will be announced soon. Presented by CIRCUIT in association with the Documentary Research Group at Auckland University of Technology (AUT), The Time of the Now is presented with support from the Govett Brewster Art Gallery / Len Lye Centre, Creative New Zealand, City Gallery Wellington, The Audio Foundation. Māori filmmakers Barry Barclay and Merata Mita were forerunners in making films by Māori, about Māori, for Māori. Their concerns then might be understood as speaking not to a binary of ‘truth’ or ‘fiction’, but rather as an approach that complicates the relationship between the filmic document and a wider web of social relationships. This panel explores how an ethic of care frames approaches to lens-based documentary practice. At the core of such positioning is the reciprocal process of kaitiakitanga (guardianship) and manaakitanga (hospitality, kindness, support), that encompass our ethical responsibilities to enact, through documentary practice, a caring, trusting, protecting and nurturing relationship to whenua and its people. Such person-to-person connecting is central to the active state that is kaitiakitanga. Using three of the artist’s films—Garden Conversation (2014), The Tempest Society (2017), and Twenty-two Hours (2018), this paper considers how Khalili’s work expands on the documentary form‘s capacity to construct (and deconstruct) historical narratives. Since the 1980s, John Akomfrah has used found footage (from BBC etc) as the basis for a sustained critical exploration of history, race and visual culture. Meaning resides in the connections and associations that are formed between the selected images. Vertigo Sea (2015) is structured according to the extended possibilities of montage and the condensed form of the monad. 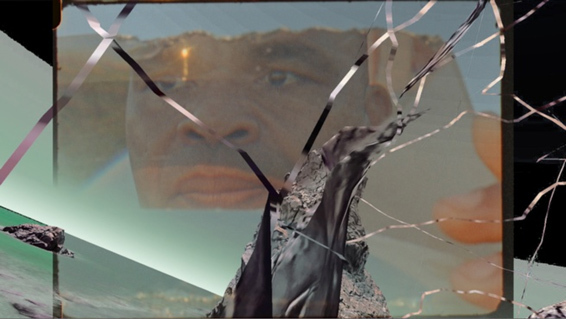 With a particular emphasis on Thompson’s recent work How Long?, commissioned for the exhibition and filmed in Fiji in late-2017, Cleland argues that while Thompson is deeply invested in the capacity of film to present subjects in ‘real time’, it is also vitally important to read his films within a timeline of historical events which are specific to each work. Donaldson recently participated in the special projects section of the Melbourne Art Fair with 501s, a work commissioned by the Physics Room, Christchurch. Donaldson collaboratively developed a technology that allowed current detainees, as well as those already deported from Australia under the Migration Act (1958), to 'hack' in and disrupt her work, a sensual crystal shoe filling with champagne. She worked alongside advocacy group Iwi n Aus to achieve this. With Dr David Hall she will be discussing the vision of participatory parity and the political opportunities provided by agency over representation. Auckland artist James Wylie presents the Auckland premiere of his film Untitled (2018), prefaced by an introduction examining the intersection of technology, landscape and being. Addressing the work of New Zealand artists Janet Lilo, Jessica Morgan and Sorawit Songsataya this presentation looks at the use of abstraction and cartooned figures as an artistic strategy to reclaim the body. This paper examines how technical bodies and digital representations deconstruct the proliferation of images to reflexively address documentary practice and representation. Film-maker Stephanie Beth discusses I Want to be Joan (1977) and In Joy (1980), two films which she made as a self-taught film-maker and sought to address identity formation in women, and which were distributed via a self-organised nationwide tour with 100 screenings. This paper considers the work of Saudi Arabian artists Arwa Alneami, Ahaad Alamoudi and Sarah Abu Abdullah in relation to the flux of the local contemporary art scene, and the shifting paradigms for exhibition/expression. 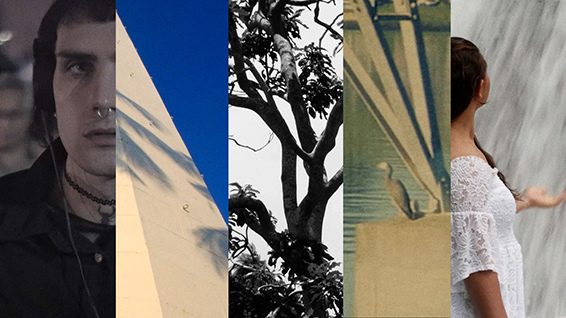 Truth or Consequences is a programme of five new works for cinema by artists Andrew de Freitas, Jeremy Leatinu’u, Vea Mafile`o, Janine Randerson, and Bridget Reweti. The programme premieres in Auckland 6.30pm, Friday 14 September at the Ellen Melville Centre. Several of the works in Truth or Consequences address the theme of water. Bridget Reweti’s Ziarah takes to the open sea in search of the remains of Tupaia, a nobleman from Raiatea in the Society Islands who was indispensable in liaising between Māori and the crew of James Cook’s ship the Endeavour on its first visit to Aotearoa New Zealand in 1769. Meanwhile, in Mai i te kei o te waka ki te ihu o te waka, Jeremy Leatinuu turns his attention to the journey of the waka Tainui and its people to Aotearoa. Truth or Consequences from CIRCUIT AFV on Vimeo. Artists: Andrew de Freitas, Jeremy Leatinu’u, Vea Mafile`o, Janine Randerson, and Bridget Reweti. Still from Sunstone (2017), Filipa César and Louis Henderson. Image produced courtesy of the artist. Described in Artforum as “a deadly serious but wittily poised prophecy of environmental oblivion”, Anthony Svatek’s .TV contrasts the threat to the island of Tuvalu from climate change with the web industry's assertion that the domain '.tv' is too valuable to be terminated, even if the island itself sinks below the waves. .TV is presented as part of An Oceanic Feeling, a 6-part screening and exhibition series which explores how the ocean forges connections between people, communities, the human and non-human. A second work in this programme, Filipa César and Louis Henderson’s Sunstone (2017), similarly explores the global reach of capitalism, exploring how optical technologies from lighthouse lenses to global satellite navigation systems alter human perception of space, powers of vision, and cartographic capabilities, and create new images of the world. The screening will be introduced by UK-based curator Dr. Erika Balsom, to be followed by light refreshments and the launch of an associated publication by Dr Balsom. An Oceanic Feeling is presented in Auckland by the Govett Brewster and Te Uru Waitakere Contemporary Gallery. Production still: WUNDERSCHEIN (2018), Guillaume Cailleau. Image produced courtesy of the artist. 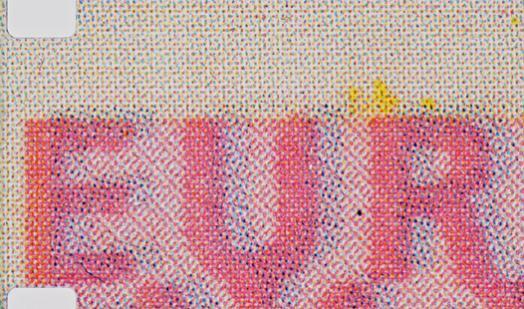 When and how does a piece of paper or an artwork acquire an exchange value? How is its value determined and put into practice? Audio Foundation is pleased to present a new installation commissioned by CIRCUIT Artist Film and Video Aotearoa New Zealand with the help of AUT by French artist Guillaume Cailleau. WUNDERSCHEIN is an installation which models, imitates and fabricates currency to address ideas of value in finance and art. Still from: BUMPER CARS (2016), Arwa Alneami. Image produced courtesy of the artist. 12pm, 13 September, St Paul St Gallery 3 (Light refreshments). Exhibition continues until 15 September. Arwa Alneami is a key figure in Saudi Arabian art, exhibiting in and increasingly beyond the Kingdom. Her very presence as a contemporary artist challenges the restrictions her country places on female self-expression, as does her work. 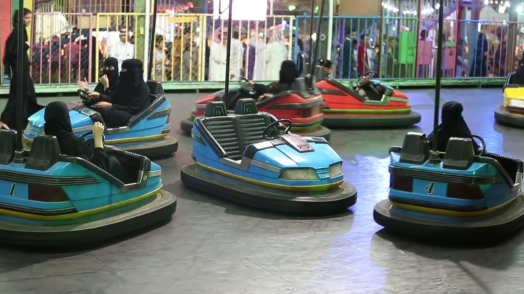 Never Never Land (2014) consists of surreptitiously made videos of women spending their evenings at an amusement park in Abha where their experiences are constantly policed by a strict set of rules, prohibiting screaming and wardrobe malfunctions. Arwa Alneami: Never Never Land is presented courtesy of City Gallery Wellington and the artist, in association with the CIRCUIT Symposium The Time of the Now. Curator Moya Lawson will present a talk on the work at 12pm, Thursday 13 Sept. Light refreshments will be served.